I did some shopping today while it was raining. I wasn't really looking for wedding things but I always keep my eyes open. 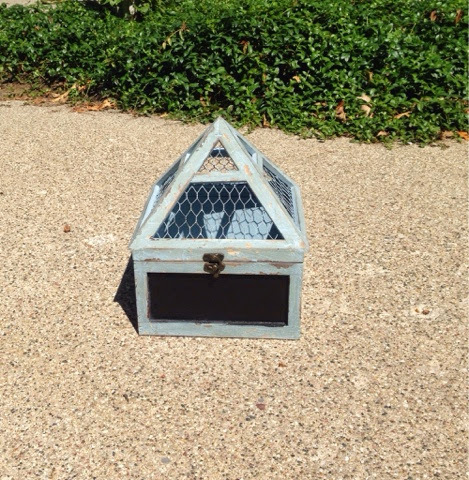 I happened to come across this adorable blue box, with bird wire on top and a little chalkboard on the front. I thought it would be the PERFECT card box for my wedding. I have not decided if I want to paint it or "rough" it up at all. For now I like it and I will decide later exactly how to DIY it. 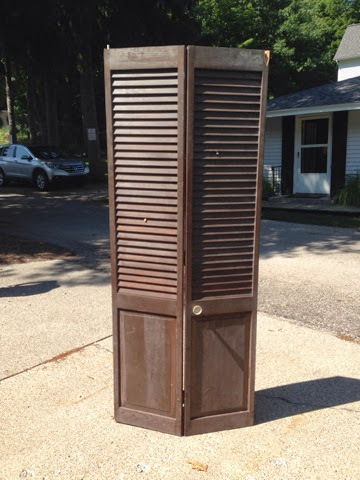 I also found these large shutter/doors to be used as a back drop or decorations piece. 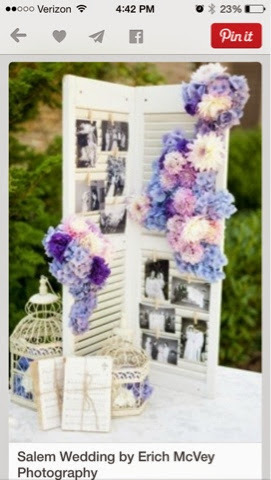 I am thinking of painting it in my wedding colors or "roughing" it up a bit so it seems more rustic. 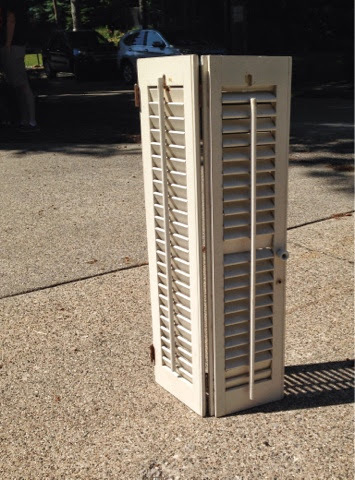 I also found a smaller set of shutters that I want to use behind the cake or on the head table or something. Similar style to the previous Pinterest idea. For $5, I I couldn't pass it up!!! Overall, I am super excited to have stumbled upon these awesome rustic decorations that I can DIY into fabulous country rustic wedding decor. Now I just need to find more!